Today, Senators Bernie Sanders (I-VT), with original co-sponsor Senator Tammy Baldwin (D-WI) and others, introduced the Senate companion of the Save Oak Flat Act. The bill would repeal Section 3003 of the FY15 National Defense Authorization Act (NDAA), which approved the Southeast Arizona Land Exchange (“the Land Exchange”). Hundreds of tribal governments, tribal organizations, and a growing group of hundreds of thousands of individual grassroots activists have united in opposition to the Land Exchange before Congress for more than a decade. Because of this opposition, House of Representatives Leadership twice pulled the bill from consideration because it lacked the votes for passage during the 113th Congress. The Senate also refused to move the bill forward. To circumvent and silence this opposition, Arizona Senator John McCain and Representatives Paul Gosar and Ann Kirkpatrick forced a closed-door deal to attach the Southeast Arizona Land Exchange as a midnight rider into the NDAA. The Land Exchange authorizes the transfer of Oak Flat and nearby lands in the Tonto National Forest to Resolution Copper Mining, which is owned by the foreign mining giants Rio Tinto PLC (United Kingdom) and BHP Billiton Ltd (Australia) for certain destruction. These U.S. Forest Service lands are holy grounds to the San Carlos Apache Tribe and other tribes in the region. Resolution Copper has chosen to mine the copper using the highly destructive block cave mining technique. By Resolution Copper’s own admission, this will result in collapsing the surface of the land, destroying forever our place of worship. The Tribe and nearby communities are also concerned with possible damage to the region’s water quality and water supply. Copper is one of the most water-intensive forms of mining. The block cave mining technique further intensifies the need for water. 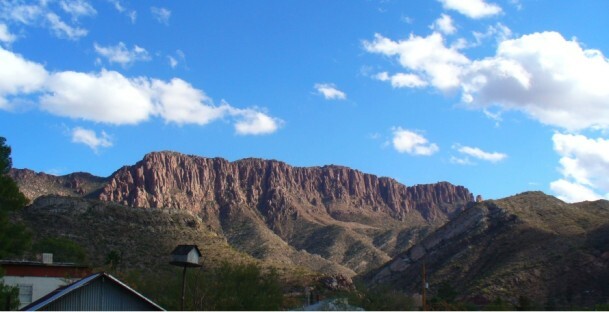 The United States established the Tonto National Forest in 1904 to protect the region’s watershed. These protections would fall once the land is transferred into private ownership pursuant to the Land Exchange. In June, Rep. Raul Grijalva introduced the House companion bill, H.R. 2811, which has been referred to the House Natural Resources Committee. Thirty-six (36) bipartisan co-sponsors have signed on to support the House bill.